A pair of members from the Rage Against The Machine-Soundgarden offshoot Audioslave reunited last week for the all-star "I Am The Highway: A Tribute To Chris Cornell" concert at The Forum in Los Angeles, and video of their full performance at the event is available online. Following the breakup of Soundgarden in 1997, Cornell released his solo debut, “Euphoria Morning”, two years later; the rocker was working on material for a second record when he teamed up with guitarist Tom Morello, bassist Tim Commerford and drummer Brad Wilk in 2001, a few months after singer Zack de la Rocha left Rage without a frontman. The supergroup scored US Top 10 and triple-platimun with the 2002 release of their self-titled debut while hitting the concert trail, and would issue two more albums – 2005’s “Out Of Exile” and 2006’s “Revelations” – before Cornell quit the project and released his second solo set, “Carry On”, the following year as Rage reunited with de la Rocha. The Cornell tribute saw Morello and Wilk deliver a five-song set (see list below) with a rotating lineup of players and singers, including Perry Farrell and Chris Chaney of Jane’s Addiction, Dave Grohl, Black Sabbath’s Geezer Butler, Metallica’s Robert Trujillo Juliette Lewis, Tim McIlrath of Rise Against, Sam Harris of X Ambassadors and Brandi Carlile. 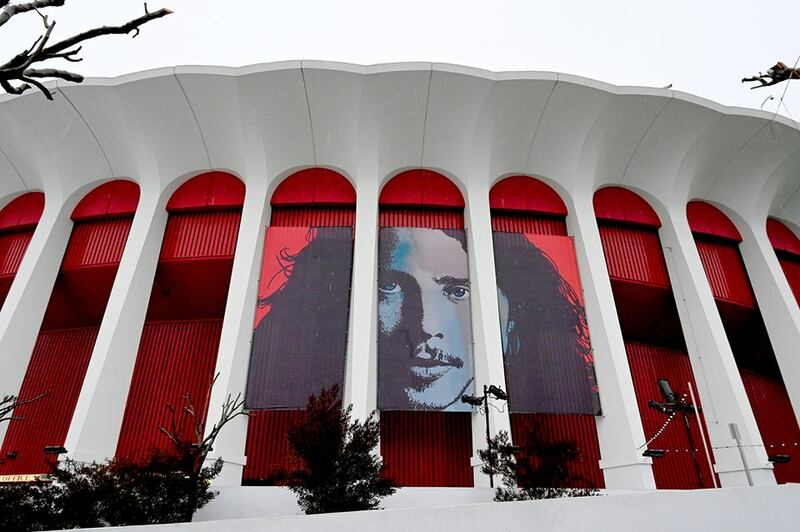 Headlined by a Soundgarden reunion (watch it here), the Cornell tribute also featured performances by Temple Of The Dog (watch them here), Metallica, Foo Fighters and Ryan Adams, among others.